Halloween is just a few days away and we are getting so excited. We are going to have such a large group of us walking and we can’t wait to have fun with all of the kids this year. Our neighborhood is always such a busy place on Halloween, and there are a TON if kids who will be trick or treating. 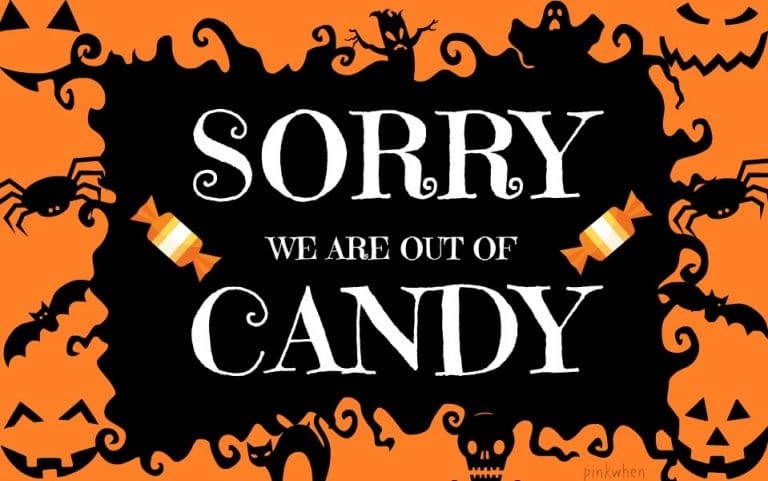 With that being said, we hate to open the door and tell all of the cute ghouls and goblins we are out of candy. 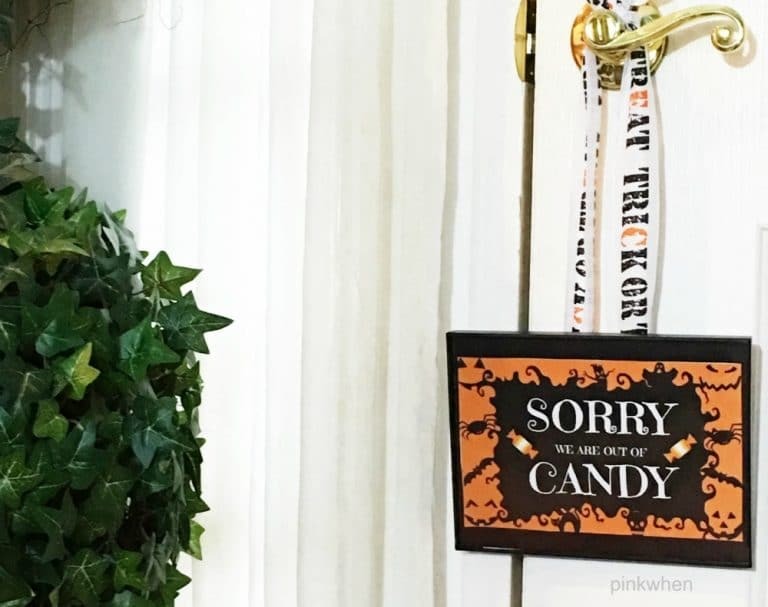 That’s why I created this Sorry We Are Out Of Candy Halloween printable. I hate it when we run out of candy. We seriously have so many little ones come to the door I can’t even imagine the amount of candy it would take to keep all of them happy. 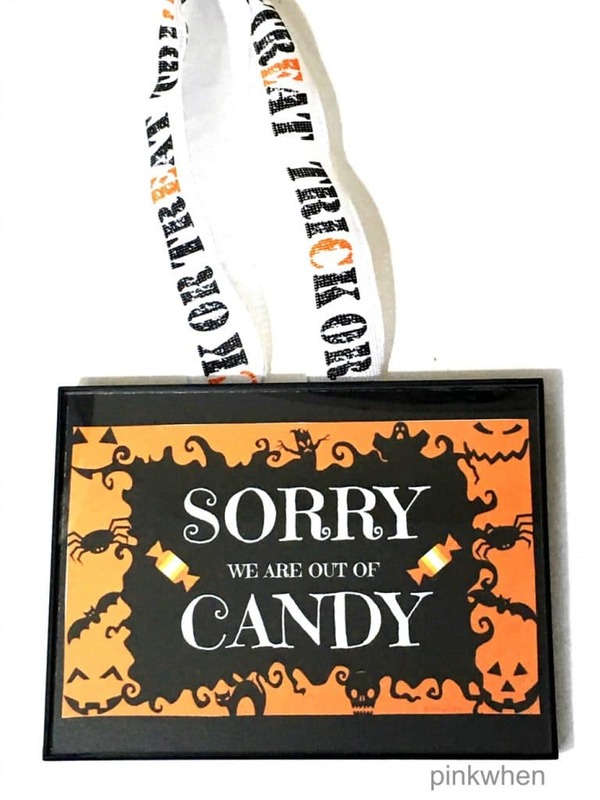 This year we are going to save them a little time and disappointment and use our Out of Town Halloween Printable and place it on the door. I hate to have to use it, but I also hate to see the disappointment in their faces when I have to open the door and tell them that we are out. It’s heartbreaking! If you have ever had this happen to you, then I am sure you know exactly what I am talking about. Just download this free printable and place it in a frame and hand from the door with a little yarn or ribbon. You can go to the dollar store and grab a little 4 x 6 frame, add a little ribbon, and hang on the door when you need to. 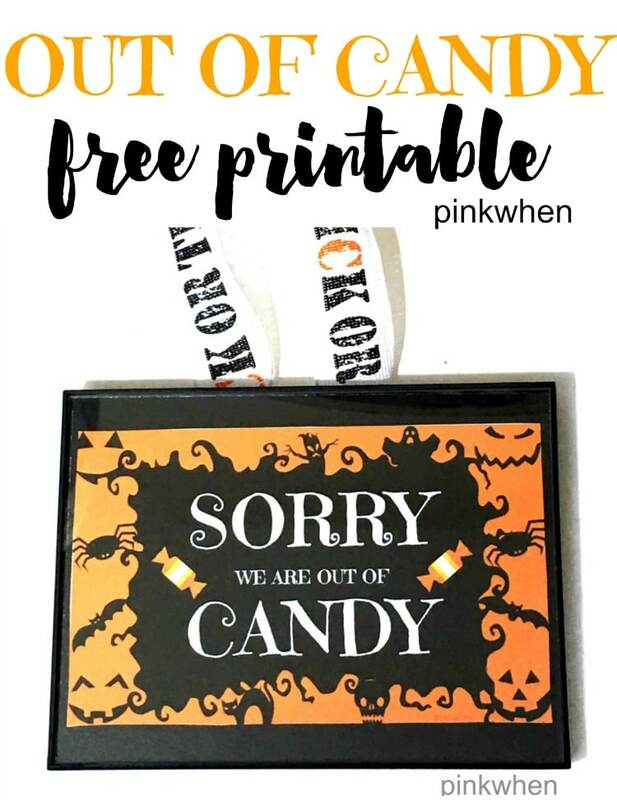 To get a free copy of this Out of Candy Halloween printable, just click here to download and trim to your liking. If you liked this printable, then make sure you check out all of the other free printables we have available for you to download.